Archeologists have been digging up the city of Sogmatar in the southeastern Turkish province of Şanlıurfa. 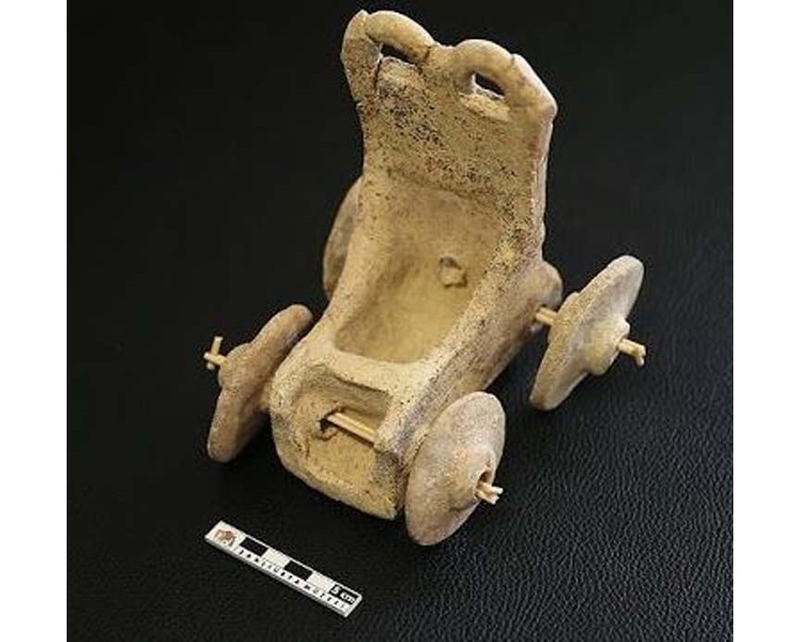 One 5,000 year old boy's tomb they opened contained a toy chariot and a rattle. 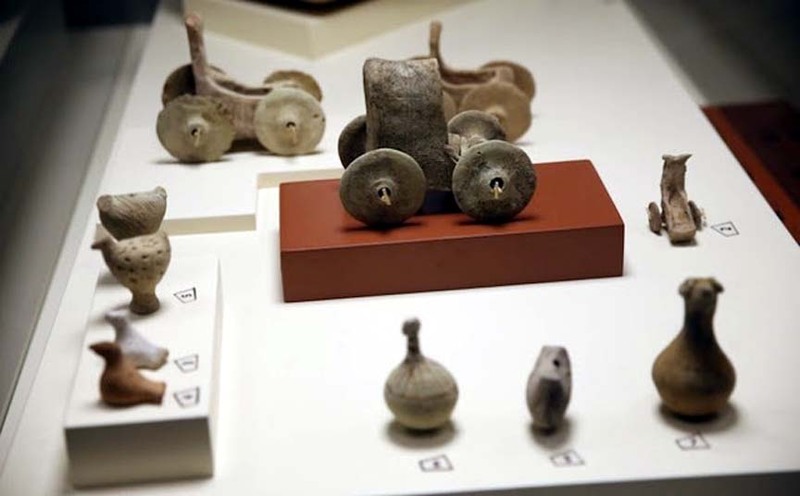 Şanlıurfa Museum Director Celal Uludağ, the head of the Soğmatar excavations, spoke about the historical importance of the city, saying there were many artifacts in different spots of the city. “We have so far obtained important findings in the excavation field. In a tomb in the necropolis area we found an earthenware toy horse carriage and its wheels. The toy dates back to the Bronze Age and is thought to have been produced for the children of kings or administrators in the city. It shows us the sense of art and children’s sense of play 5,000 years ago. This finding is very important to us and will be displayed at Turkey’s largest museum complex, the Şanlıurfa Archaeology Museum. We think we will get more important findings as long as the excavations continue,” Uludağ said. “We got the permission for excavations in 2017 and worked in May for one month. Now we have been working for the last 15 days. We have so far opened 45 tombs, finding three tombs that were not even opened in the Roman era. In one of these tombs, we found a four-wheeled miniature horse carriage, a children’s toy, as well as a rattle with a bird motif. Children’s toys were buried in children’s tombs. We thus know that rattles existed for children 5,000 years ago,” he said. 5,000 years on and I want a Quad Bike. All that separates us is a 650cc engine.